Learn to lead or learn for ourselves! Let's change our world with laughter! Feelgood Communities have set up the Laughter Yoga School Manchester and Central UK to offer a range of training and workshops based on therapeutic laughter, play, joyful workplaces, gibberish and Laughter Yoga. We run the following courses. Two day course is held in Manchester throughout the year. And one-on-one training: anywhere and any time! This is a two day certified course in Manchester and the North West of England. It is also taught as a one on one training any time. Laughter Yoga Leader Training specifically teaches the Laughter Yoga ideas of Dr Kataria and the exercises which are used in laughter clubs. It is often recommended as the first step on your ‘laughter journey’ because it provides a format and script for how you can run your laughter session. A certificate from Laughter Yoga International is awarded on successful completion of the course which enables you to obtain appropriate insurance. "Playing With Nonsense and Gibberish Improvisation". And a two day performance and gibberish weekend in Wales: planned for Cardiff. Manchester: held once or twice a year. 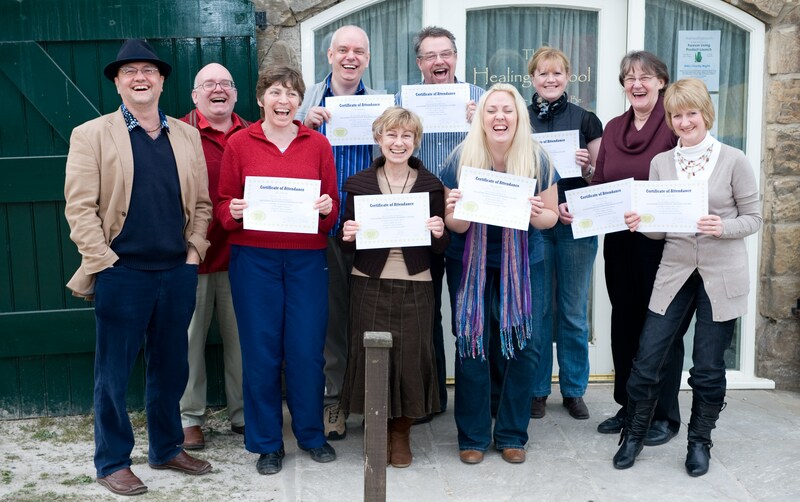 This course is for participants who want to develop ideas for facilitating laughter. It runs in Manchester and anywhere north of Watford. The Laughter Facilitation Skills is an excellent way to learn about facilitating laughter with groups. It takes a broader look at laughter facilitation, and draws on creative ideas, movement and body awareness, and other ways for facilitating laughter. You will have an opportunity to try out your own ideas; in this way, participants also learn from each other. You receive a certificate of attendance. If you have been to some laughter clubs and have experience of facilitating groups (other than in laughter) then you might like to go straight to the Laughter Facilitation weekend. Manchester: Two day training immersing ourselves in laughter, and a one day course (Through the Eyes of Laughter – Spirituality and Science Meet). This can also run at any time and anywhere! This is the Exploring and Undertanding Laughter training - investigating the meaning, origin and use of laughter. It runs in Manchester and elsewhere. The Understanding and Exploring Laughter course is a self development and awareness weekend where we answer our own questions on the meanings, use and implications of laughter. It helps put laughter and our facilitation into perspective and context. You receive a certificate of attendance.